WhatsApp has been working on two-step verification for quite sometime now. 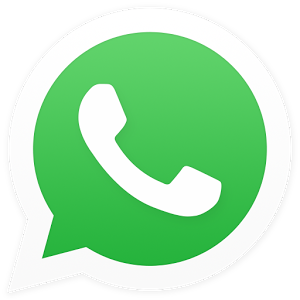 Recently, WhatsApp introduced the feature for the beta testers, but now the feature is now available to all users on android, windows and iOS platform. With the two-step verification, users will be prompted to input a 6 digit PIN whenever they are registering their WhatsApp account on a new device. This helps keep your account safe against unauthorized persons. The new two step verification is way more safer than the traditional sms confirmation that we are all used to. Although this new feature does not eliminate the SMS verification as it's considered a necessity by WhatsApp. Also there is an option to add a Recovery email Incase you forget your 6 digit PIN. >> First, make sure your WhatsApp app is up to date. >> Go to WhatsApp Settings >> account >> Two-step verification and click on enable. >> Enter the 6 digit pin of your choice, click on next and re enter it again for confirmation. >> After that, input your recovery email. (This email will be used to reset your verification pin Incase you forget it). That's all. Once your two-step verification is enabled, no one will be able to register your WhatsApp account on another device unless they have access to your 6 digit PIN.